Research has shown that an estimated 24 Million children live in homes without their natural father. 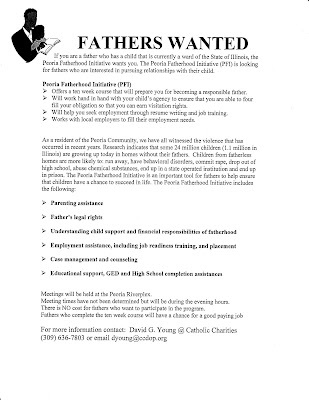 There are approximately 1.1 Million children diassociated from their father in the state of Illinois alone. This dissassociation and estrangement from fathers and adequate family units has led to much of the crime and violenc that we currently witness in our metropolitan areas and cities. Please take a stand to address this by becoming involved in solving the problem.